Vernon Gildon, 29, of Omaha was arrested by Titus County Sheriff's Office deputies for aggravated robbery, burglary of a habitation and criminal mischief. TITUS COUNTY, TX (KLTV) - A burglary suspect is in custody after a Titus County homeowner held him at gunpoint until law enforcement officers could arrive. Officials say the man had earlier attempted to burglarize another location where he was also caught by a different homeowner. The incidents occurred Saturday in northwest Titus County, according to a sheriff’s office news release. Deputies were called to the 2000 block of FM 1896 in response to a theft in progress. 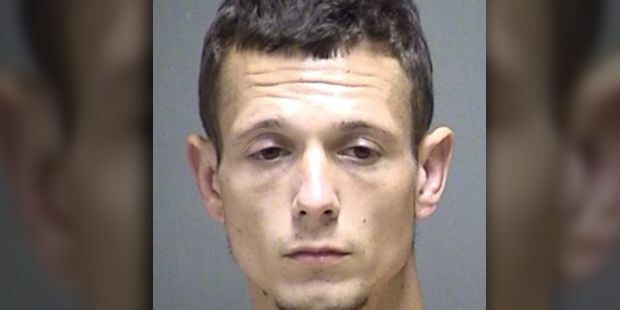 A caller reported that a man, later identified as Vernon Matthew Gildon, 29, of Omaha was in the process of dismantling an ATV that was parked in a garage. The caller said they, along with another person, confronted Gildon who produced a knife. Gildon later left the property with the homeowner ordered him to leave, the sheriff’s office statement reads. While deputies were investigating that call they received another call in the 1800 block of FM 1896 where a homeower reported he was holding a burglar at gunpoint. Gildon was arrested for aggravated robbery, burglary of a habitation and criminal mischief. As of Monday he remained in the Titus County Jail on $80,000 total bond, TCSO said.